We Delivery to Your Home or Office! 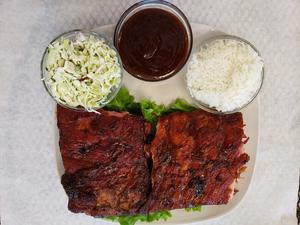 From the loin – Baby Backs are the leaner pork rib. We season simply and let the smoking process be part of the overall seasoning. Smoked scallops have been described as delicious in part due to how the mollusk absorbs the smoky flavor "better than just about any other seafood. See what our costumers are saying about us! "The best BBQ I have ever had! I have hated ribs my entire life. I tried the pork ribs because a friend wanted me to try them. The changed my life. I love this place!!!"